Our most powerful anti-aging serum featuring NIA-114, plant stem cells and peptides to reverse wrinkles, diminish pores and promote reflectivity for radiant, healthy ageless skin. This is for women 35 and up, who are looking for faster wrinkle fighting results. 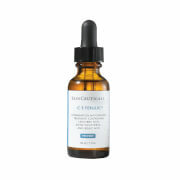 After 2 weeks you will notice increased luminosity and optimized clarity. After 8 weeks, you will notice a reduction in size, length and depth of wrinkles and pores. Reduce the size, length and depth of wrinkles. 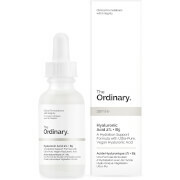 Elastin stimulating peptides improves skin elasticity. Visibly correct the look of pores. 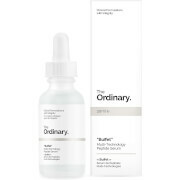 Boosts skin's clarity, radiance & luminosity. Plant stem cells removes pro-aging toxins and helps to neutralize the effects of environmental factors that age skin including pollution, UV exposure and other toxins. Patented NIA-114 improves skin structure, reinforces elasticity and builds skin barrier. Builds stronger skin cells and speeds up cell turnover resulting in healthier cells that are able to absorb the benefits of the peptides and stem cells. Apply to clean face before moisturizer in the AM and PM. Using a circular motion, gently massage in until completely absorbed. For best results, follow with StriVectin-SD Intensive Concentrate for Stretch Marks & Wrinkles – regular or sensitive formulas. I have been using the StriVectin Wrinkle Reducing Treatment for several years. while it has not done much for my existing forehead creases, it is great for the rest of my face. I like what it does around my cheeks and eyes. I use it 2x daily with Strivectin SD cream and a good sunscreen. I am 65.I look at least 15 years younger. I was very pleased with how this product made my skin look and feel. I did notice everything it said it does! I like to mix this product with a little Retin A cream and it works wonders!